HANDY LITTLE GADGET :This Bluetooth remote makes it exciting to take selfies, group and steady shots hands-free! Post amazing photos and videos on Snapchat, Instagram, Facebook or YouTube with the help of this shutter. LIGHTWEIGHT AND CONVENIENT TO CARRY :The remote is easy to store. You can bring it anywhere! Just slip it in your pocket and keep it on a keychain. It comes with an adjustable wrist strap for quick access when in use. 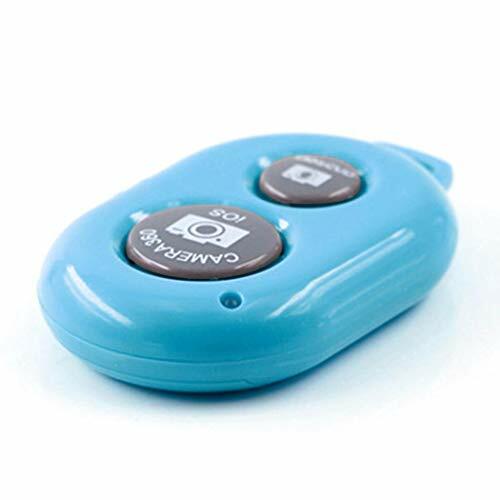 SMOOTH PAIRING :The CamKix Remote Control Camera Shutter uses Certified Bluetooth Wireless Technology for maximum reliability and fast operation. It can trigger your phone and tablet even if it is 30ft (10m) away. You only need to pair it once and it will be automatically recognized on your next use. 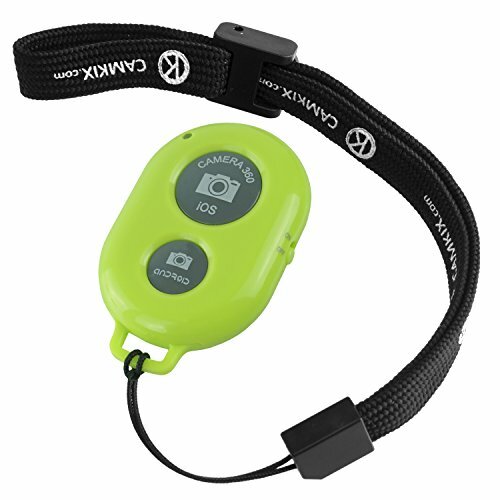 CAPTURE PICTURES/VIDEO INSTANTLY:The remote has two buttons for taking photos and videos. Press the small button for Android and the big button for iPhone. It also has a separate ON/OFF switch. 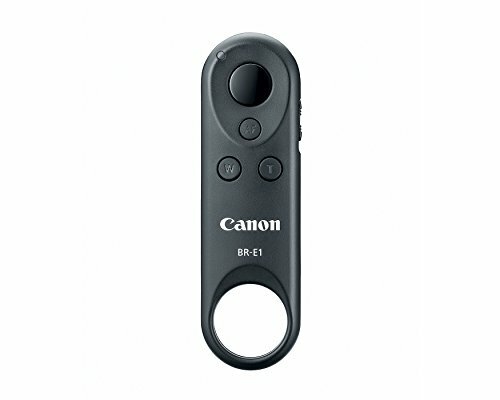 Eliminate vibration and increase image clarity with this wireless remote for Canon cameras. Control your GoPro camera remotely from distances of up to 600ft (180m) with this wearable, waterproof remote. Power the camera on/off, adjust settings, start/stop recording and capture photos. When used with HERO6 Black, HERO5, HERO4 and Session cameras, you can also mark key moments while recording with HiLight Tag, or use the Settings/Tag button to quickly change settings. Enables control of up to 50 cameras at a time. 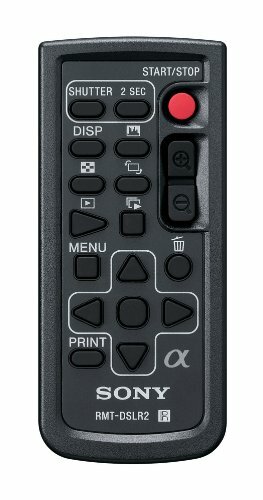 Enjoy remote access to most Sony Alpha & NEX digital cameras with this wireless remote commander. This remote commander works with the following models: ILCA-99M2; ILCA-77M2; ILCA-77M2M; ILCA-77M2Q; SLT-A99; SLT-A99V; ILCE-7RM3; ILCE-9; ILCE-6500; ILCE-6300; ILCE-6300L; ILCE-7SM2; ILCE-7RM2; ILCE-7M2; ILCE-7M2K; ILCE-7S; ILCE-6000; ILCE-6000L; ILCE-6000Y; ILCE-7; ILCE-7K; ILCE-7R; NEX-5T; NEX-5TL; NEX-5R; NEX-6. Remote has limited functionality with the following models: NEX-5N; NEX-5NK; NEX-7; NEX-7K. The rs-60e3 remote switch as remote switch convenience to your SLR camera. 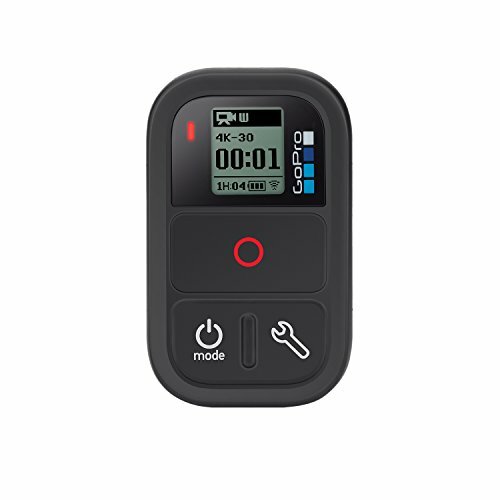 The remote switch is simple to plug in and replicates all shutter release button functions. The rs-60e3 is compatible with the Canon rebel, Rebel EOS and some Canon EOS cameras. 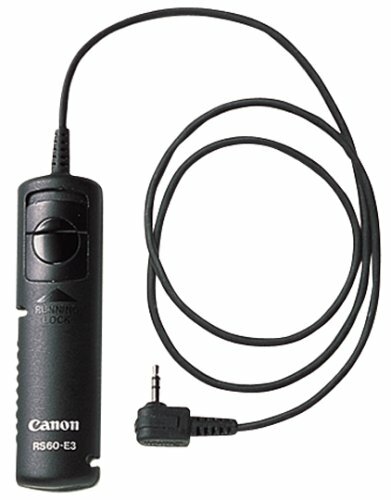 The Canon RS60 E3 replicates the functions of the shutter release button. The remote switch, on a 2-foot cable, is quite compact, and is compatible with the Canon EOS Rebel 2000, EOS Rebel X/XS, EOS Rebel G, EOS Elan II, EOS Elan IIe, and EOS IX. HANDY LITTLE GADGET This Bluetooth remote makes it exciting to take selfies, group and steady shots hands-free! Post amazing photos and videos on Snapchat, Instagram, Facebook or YouTube with the help of this shutter. LIGHTWEIGHT AND CONVENIENT TO CARRY The remote is easy to store. You can bring it anywhere! Just slip it in your pocket and keep it on a keychain. It comes with an adjustable wrist strap for quick access when in use. 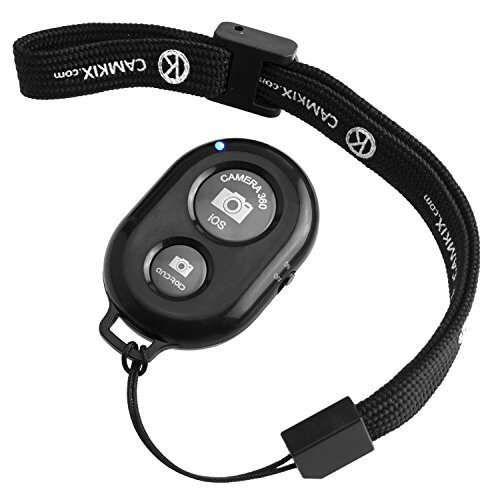 SMOOTH PAIRING GUARANTEED The CamKix Remote Control Camera Shutter uses Certified Bluetooth Wireless Technology for maximum reliability and fast operation. It can trigger your phone and tablet even if it is 30ft (10m) away. You only need to pair it once and it will be automatically recognized on your next use. CAPTURE PICTURES/VIDEO INSTANTLY The remote has two buttons for taking photos and videos. Press the small button for Android and the big button for iPhone. It also has a separate ON/OFF switch. COMPATIBLE WITH A WIDE RANGE OF DEVICES The remote pairs perfectly with phones and tablets operating on Android 4.2.2 OS and up / Apple iOS 6.0 and up. Option to use in-built app or Camera 360 app. It can be used with a wide range of devices including iPhone Xs, Xs Max, X, 8, 8 Plus, 7, 7 Plus, SE, 6s, 6s Plus, 6, 6 Plus, 5S, 5C, 5, 4s, 4; iPad Pro, 4, 3, 2, Mini 2, Mini, Air; Samsung Galaxy S9, S9+, S8, S8+, S7, S7 Edge, S6, S6 Edge, S5, S5 Mini, S4, S4 Mini, Note 9, 8, 7, 5, 4, 3, 2. 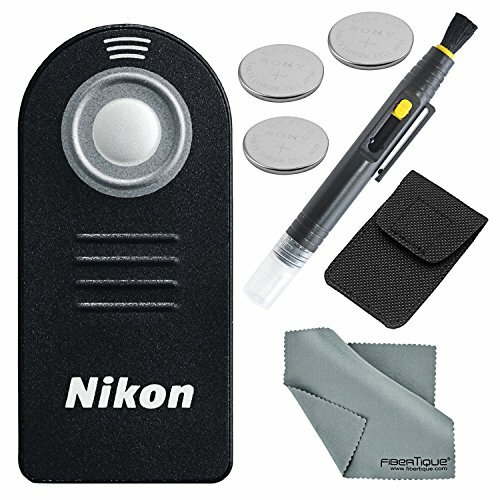 Wireless (IR) Remote Shutter Release ML-L3 for Nikon D40, D40X, D50, D60, D70, D70S, D80, D90, D3000, D5000, F55, F65, F75, N65, N75, Coolpix 8400, 8800 Nikon 1 J2, J2, D5200, D40, D40X, D50, D60, D70, D70S, D80, D90, D3000, D5000, D5100, D7000, D5300, Nikon 1 AW1. Pronea S, Nuvis S & Lite Touch Zoom Cameras The ML-L3 Remote Control acts as a wireless shutter release capable of instantly triggering the shutter without disturbing the camera, up to a distance of approximately 16 feet. It is recommended for taking pictures of subjects that are difficult to approach, or to minimize vibration for close-ups and time exposure. Powered by CR-2025 3v battery (included). Don't let camera shake ruin a perfect shot. 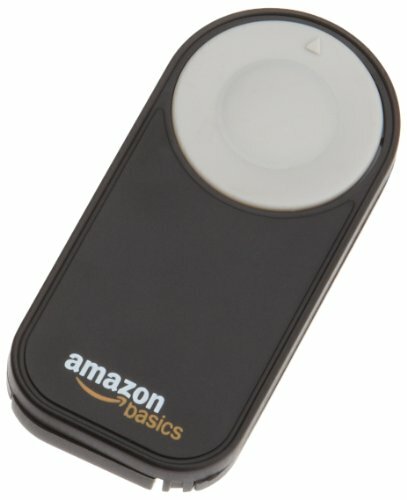 This wireless remote helps prevent camera movement, so your photos are crisp and clear, not blurry. Or choose Wireless Communication setting and click on Bluetooth function to disable if your camera has the Bluetooth function. 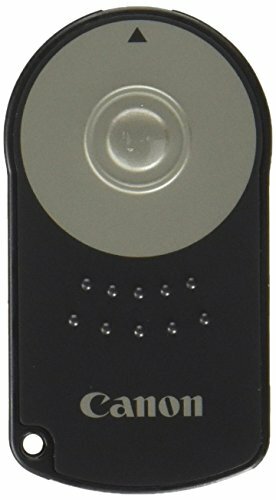 Ideal for subjects that are difficult to approach or for minimizing vibrations Slim wireless (IR) remote allows you to trigger the shutter remotely to prevent camera movement when using slower shutter speeds. 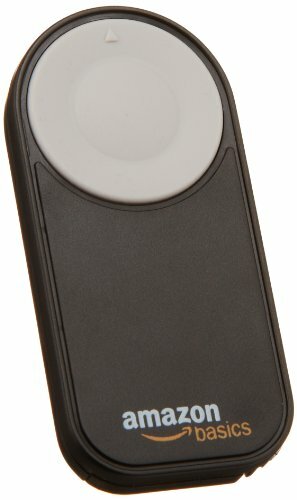 Slim wireless (IR) remote allows you to trigger the shutter remotely to prevent camera movement when using slower shutter speeds. Offers immediate shutter release and two second delay mode * Range is approximately 16 feet in front of camera. 4 TYPES SHUTTER FUNCTION TW-283 supports simple single shooting, 1S continuous shooting, [ BULB ] shooting, delay shooting and timer schedule shooting. 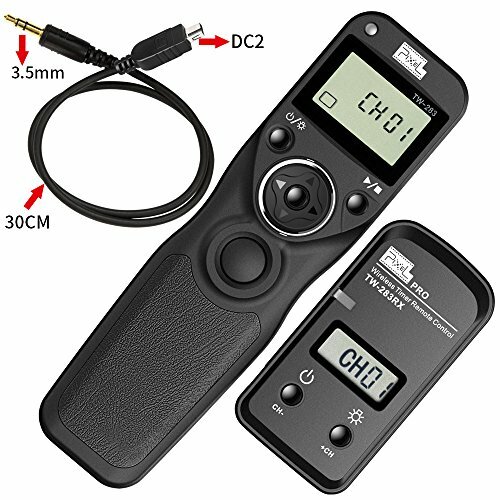 6 KINDS OF TIMER FUNCTION Delay Shooting Setting can set delay time and shooting number, the delay time alters from 1s to 59s, shooting number alters from 1 to 99. timer Shutter Release shooting time can be set from 0 sec to 99hrs59mins59sec. Shooting number can be set from 1 to 99. Specifications: System Mode: FSK 2. 4GHz wireless control system Transmission Distance: over 80M Communication Channel: 30 channels Transmitting Power: -1dB Receiving Sensitivity: -99dB Control Cable Length: 30cm (straight line) Transmitter Stand-by Time: over 1000hrs. (use 2 size AAA alkaline batteries) Receiver Stand-by Time: over 400 hrs. (use 2 size AAA alkaline batteries) Transmitter Dimension(L W H): 146mmX40mmX19mm Receiver Dimension (L W H): 73mmX38mmX31mm Weight: (excluding batteries) Transmitter: 52. 6g Receiver: 36. 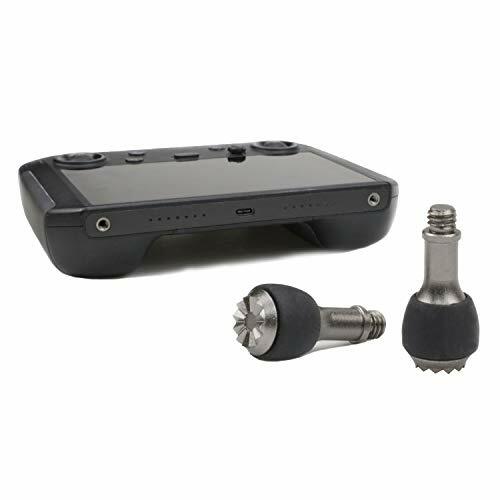 2g Functions: Item Included: TW-283 Transmitter X 1 TW-283 Receiver X 1 Shutter Connecting Cable X 1 User Manual X 1 Compatible cameras: select by socket Note: Package no include battery. Refer to "+" / "-"within the transmitter's and receiver's battery compartments to insert the batteries. The receiver flash as Ren LED light; If the light doesn't flash, it should be the battery reversed the direction. 1.How to pairing with gopro hero 7 black? 1. Fully charged about 30 up to 40 minute,Wifi Charging Cable Charging,the first time use need to charge 1 hours at least. 2. In order to increase battery life, you need to recharge it at least once every six months. 3. If you do not use the battery for a long time, should be fully charged to save it. 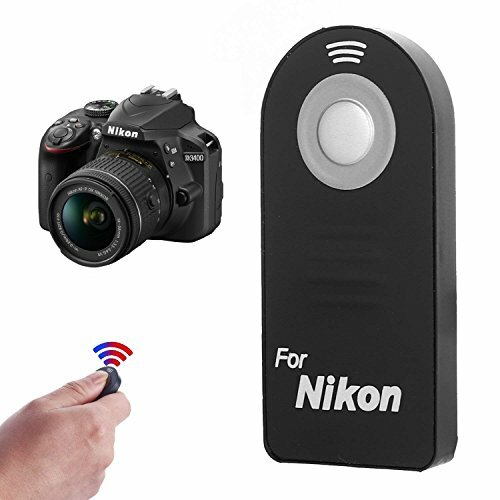 This Wireless Remote is designed for cameras that has a remote shutter socket. The system works at a 433MHZ frequency and has 16 available channels. In addition, this wireless remote system adopts a technology to allow the transmitter trigger the receiver without direct line of sight up to 30 meters. The transmitter can trigger the camera shutter at five modes: single shot, 5 seconds delay shot, 3 continuous shots, unlimited continuous shots and bulb shot/bulb lock. EOS 80D,EOS 70D,EOS 77D,EOS 60D,EOS 60Da,EOS RP,R,M6,M5,etc. 4. Once the transmitter matches the receiver, connect the receiver to the camera via the camera connecting cable which is included in the package,then set the transmitter into the working mode you want and finally press the shutter button to take a photo wirelessly. 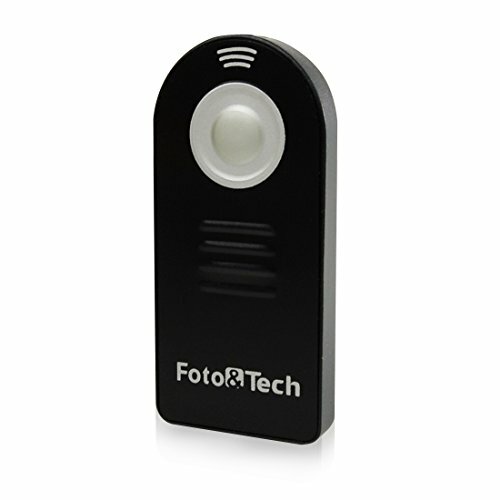 The Foto&Tech FTML-L3 Wireless Remote Control (Infrared) is only 2.5 inches (60 mm) tall and can fit easily into your pocket. You can and even put yourself in the picture without having to make that silly 10 second dash. Wireless control allows users to step away from the camera when shooting. It is for use with the following Nikon cameras: D750, D3400, D3300, D3200, D3000, D5500, D5300, D5200, D5100, D5000, D7200, D7100, D7000, D40, D40X, D50, D60, D70, D70S, D80, D90, D610, D600, CoolPix P900, P7800, P7700, P6000, P7000, P7100, N65, N75, Coolpix 8400, 8800, Pronea S, Nuvis S & Lite Touch Zoom Cameras, Nikon 1 J1, 1 J2 and Nikon 1 V1 V2 V3. 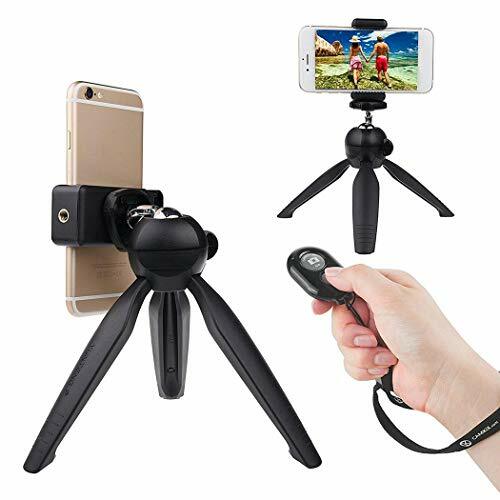 It acts as a wireless shutter release capable of instantly triggering the shutter without disturbing the camera, up to a distance of approximately 16 feet (4.87 m) in front of the camera. It is recommended for taking pictures of subjects that are difficult to approach, or to minimize vibration for close-ups and time exposure, and it is powered by a CR-2025 3V battery (included). The FTML-L3 supports the bulb exposure camera setting making it a worthwhile accessory for shooting long time exposures for low-light photography or unusual daylight effects. It doesn't work for D3100 because D3100 does not have an IR transmitter built into the unit. Specifications: Total length: 2.5 inches, Product Weight: 0.04 ounce. Operating range- up to 16 ft.
Nikon compatible. 1 Year Replacement Warranty by FotoTech. The Nikon ML-L3 wireless remote control is a must-have accessory for your Nikon compatible camera. The ML-L3 is capable of triggering the shutter of select Nikon cameras up to an approximate distance of 16 (4.87 m) in front of the camera. 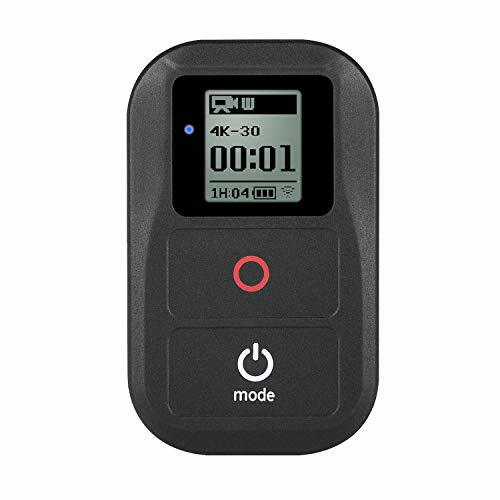 You can get amazing shots of subjects that are difficult to approach and minimize vibration when shooting close-ups or time exposure with this handy wireless remote. The ML-L3 offers an immediate release mode and two second delay mode and is powered by a CR-2025 3v battery.It is compatible with DSLRs: D7200, D750, D5500, D3300, D5300, D610, D7100, D5200, D600, D7000, D3200, D90, D3000, D5100, D60, D5000, D50, D70, D70s, D40X, D40, D80, 1-series mirrorless: V3, J1, V2, J2, V1, and COOLPIX: P900, P7800, A, P7700, P7100, P7000. Capable of triggering the shutter of select Nikon cameras up to an approximate distance of 16' (4.87 m) in front of the camera. Great for capturing pictures of subjects that are difficult to approach. Ideal for minimizing vibration when shooting close-ups or time exposure. Offers an immediate release mode and two second delay mode. 2-in 1 Lens Cleaning Pen included in the bundle features a retractable brush on one end and a spray cleaner on the other end. The CamRanger Mini wireless remote camera control transmitter enables advanced camera control and wireless tethering from an iPad, iPhone, or Android device. 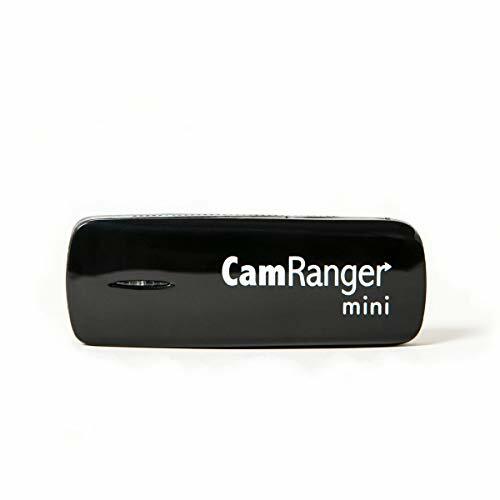 The Mini is approximately half the size of the original CamRanger, but with a longer range. Using the CamRanger Mini app, you can capture and view images; see a live view from your camera; adjust camera settings; adjust focus; perform advanced HDR brackets, time-lapses, and focus stacking; and much more. Images can be saved to your mobile device for editing and sharing. The free CamRanger Mini app is available from the Apple App Store for any iPad, iPhone, or iPod Touch running iOS 9+ or from the Google Play Store for any Android device running Android 5.0 (Lollipop)+ The Mini can also connect to the CamRanger PT Hub and MP-360 motorized tripod head to remotely control the pan and tilt of the camera with the same CamRanger Mini app so you can remotely position your camera as well as create seamless panoramas. The Mini transmitter can be fully charged in approximately 2-3 hours, and the built-in rechargeable 1800mAh lithium-ion battery lasts about 3-4 hours per charge. The CamRanger mini charges via USB. The CamRanger Mini app connects via 802.11b/g/n Wi-Fi that it creates, from up to 400' away. The CamRanger mini also comes with a black protective case, USB charging cable, quick start guide, and angled USB mini cable. The USB mini cable works with many supported cameras, but not all. Some cameras need to use a different USB cable type. Special designed replacement joystick rocker transmitter for DJI Smart Controller,Mavic 2 Pro/Zoom Drone Remote Controller. Made of high quality metal silicone material, durable, replace for old control rocker. Effectively prevent the delicate joystick from damaging, the original joystick is easy to be bent or broken or lose during travel and storage. With anti-skid design, remote controller joystick could easy to remove and install. 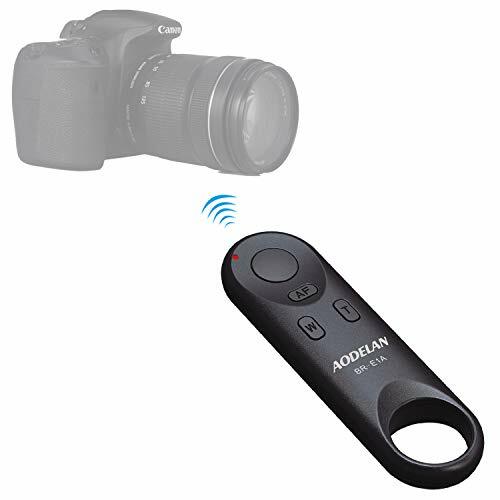 Photograph & Zoom & Video Recorder Wireless Bluetooth Remote Camera Clicker, Capture your Memorable Family Reunions, Travel, Vacation and Camping Moments with this Cute Little Shutter! It works best for staged photos (think Christmas Card, Baby Announcement, Adult themed photo shoots) where you might be in the picture and not behind the "camera"
It's unnecessary to download the Software of "BT Shutter" if you ONLY need to Take picture from the Remote. 2. You only need to pair it once and it will be automatically recognized on your next use. How to Get More Functions:Please Download the BT Shutter Software from Your APP Store or Google Play to get the following Extra Functions:1. Focusing : It's flexible to adjust the focal length, shooting close-view or vision 2. 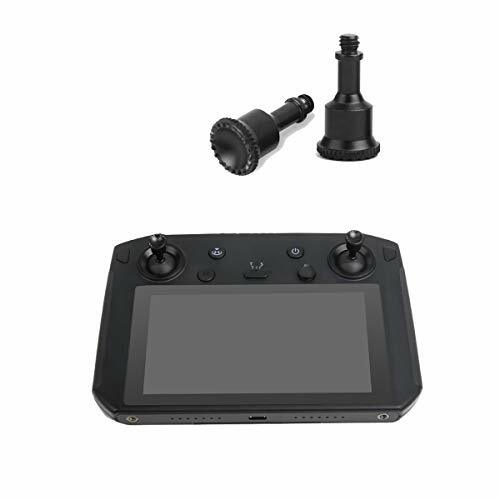 Switch lens : remote control can be switched the Front and Rear Lens anytime, anywhere to meet the shooting needs; 3. Switch Video Recording. 1Pair Replacement thumb rocker joystick for DJI Mavic 2 Pro/Zoom Smart Controller. Aerial aluminum alloy material,Precisely CNC machined anodizing process,ergonomic design.Durable,prevent bending or breaking. Antiskid knurling design,stable and safe installation.Anti-slip,reduce the operational errors and greatly enhance the comfortable to use. Easy to storage,4g/1pair,lightweight.Used to replace the original rocker joystick. Authentic Lumia - this is an O. E. M. Authorized part Officially approved for Panasonic brand Lumia S Series digital cameras. Makes it easy to shoot bursts, or hold the shutter open for extended periods of time. Turn on the remote control switch and the blue indicator of the remote control will flash. Turn on your phone Bluetooth, search for new devices, and connect. After pairing and connecting, open the camera software in your phone. For phones can directly take photos by pressing the remote control shutter. The Android phone section can also be pressed directly to control the photo. If you can't control the camera's Android phone, please download the camera3 6 0 software, open the camera3 6 0 software and click the setting icon in the upper right corner. Then click Advanced Settings, then click Camera Settings to set the volume key function options to take a photo. 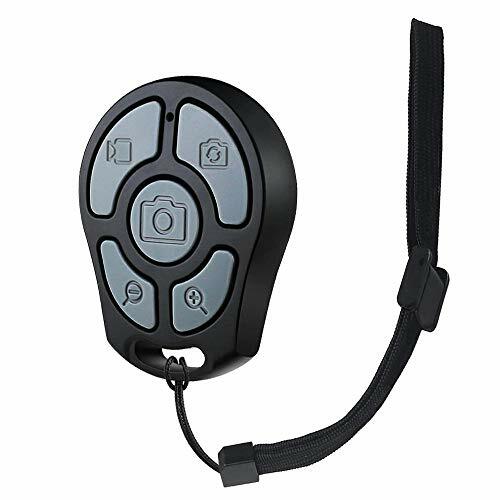 This wireless remote control camera shutter will work perfectly with your iOS (6.0 and up) or Android (4.2.2 and up) phone / tablet. he adjustable wrist strap allows a safe and comfortable fit. It will prevent you from dropping the wireless remote control. 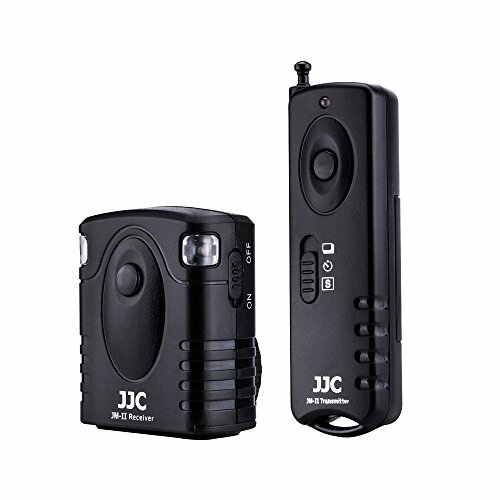 Remote Control Camera Shutter uses Certified Bluetooth Wireless Technology for maximum reliability and fast operation. open the camera3 6 0 software and click the setting icon in the upper right corner. 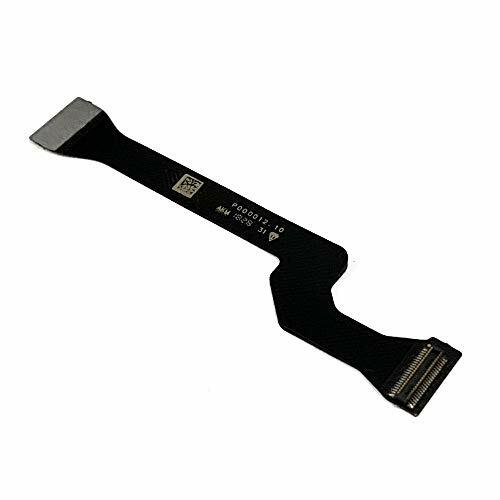 Package included:1x Flexible Flat Ribbon Cable for DJI Mavic 2 Pro & Zoom Gimbal.